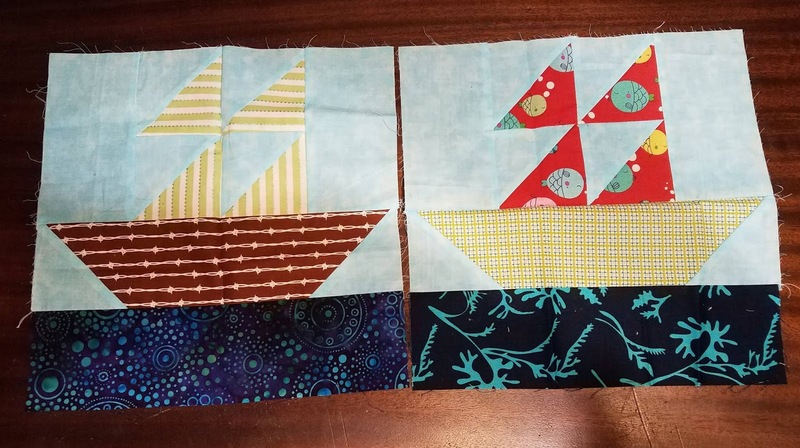 “A group of new friends, scattered across several continents, connected by a common hobby"
I’m the hostess/maker of Bee Inspired first charity quilt for 2019. 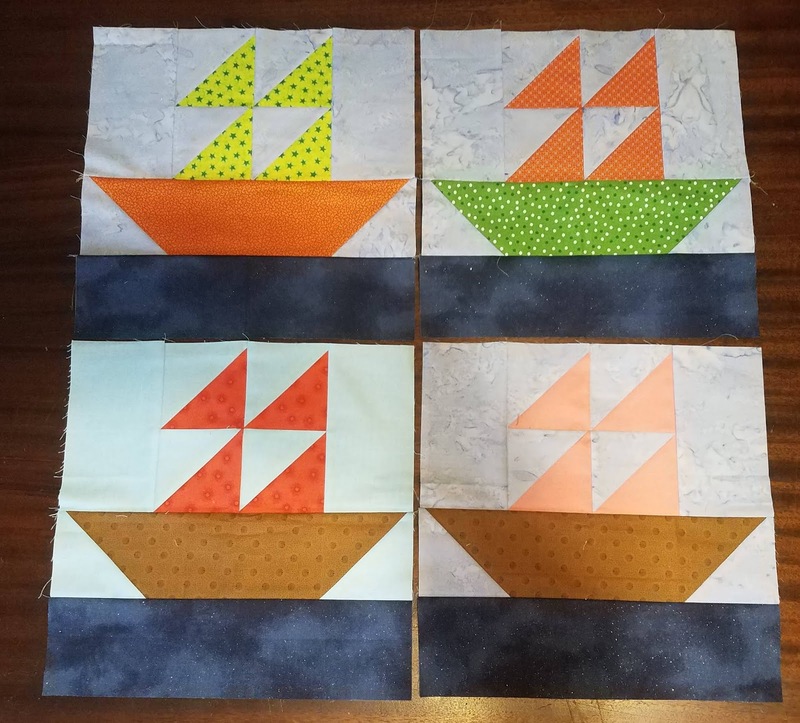 I chose a fun and simple sailboat block and the boats have been sailing all the way to my mailbox! We opened this up to anyone who wants to make blocks, not just original Bee Inspired members. I’m pleased to report that we’ve had two new folks join in! 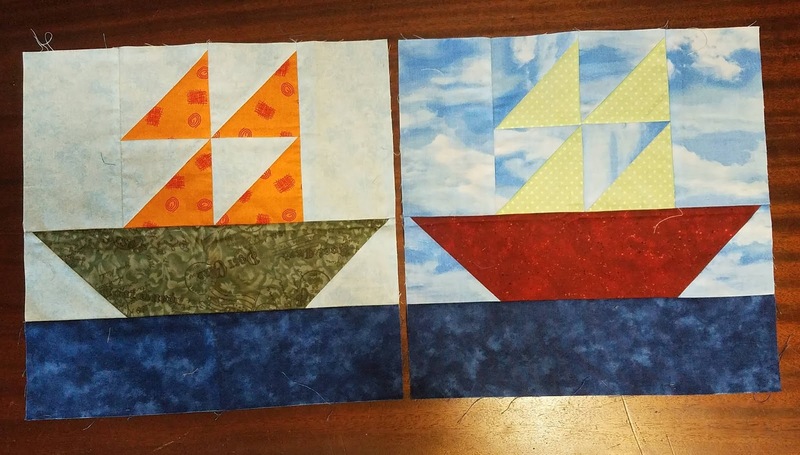 First are FOUR great boats from Wendy at Pieceful Thoughts of My Quilting Life. And there are two fun boats from Kathleen at Kathleen McMusing. I adore this water fabric!!!! Here are two from Sue at Sevenoaks Street Quilts. You should visit her post here for much better photos. She really got into the ocean theme! 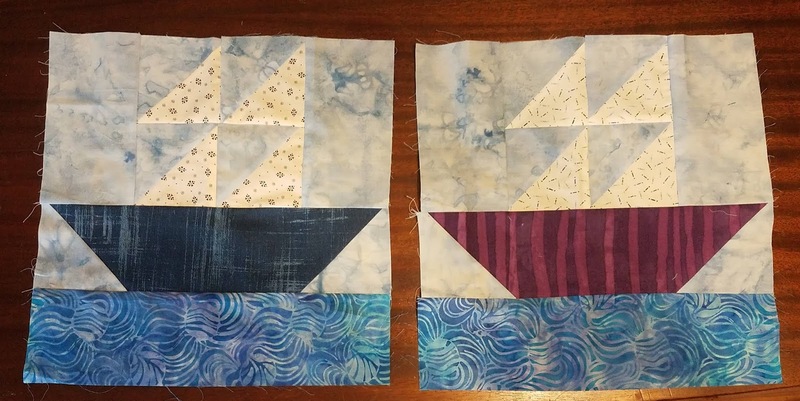 Sharon of Yellow Cat Quilt Designs used different dots for her sky fabrics. Kate of Smiles From Kate used some lovely sky & cloud fabric for one of her boats. Looks like a beautiful day for sailing! And Janice of Color, Creating and Quilting! used a similar cloud fabric for a sunny day and raindrops for a stormy day. Good thing it’s only fabric rain! 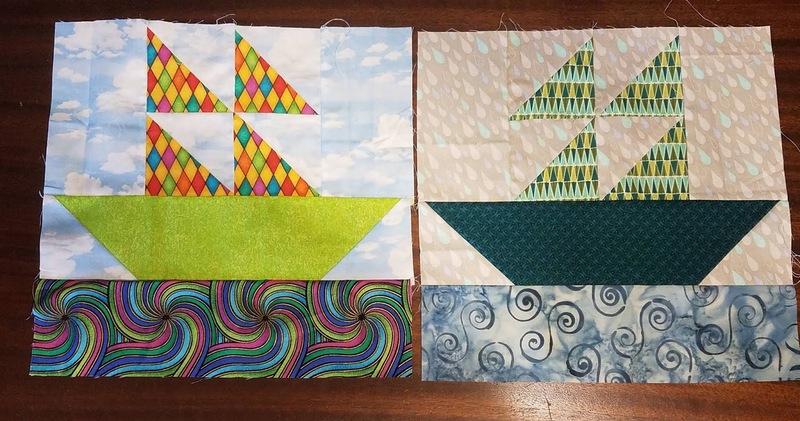 These boats will be sewn together into a quilt for the Charlotte chapter of Project Linus. 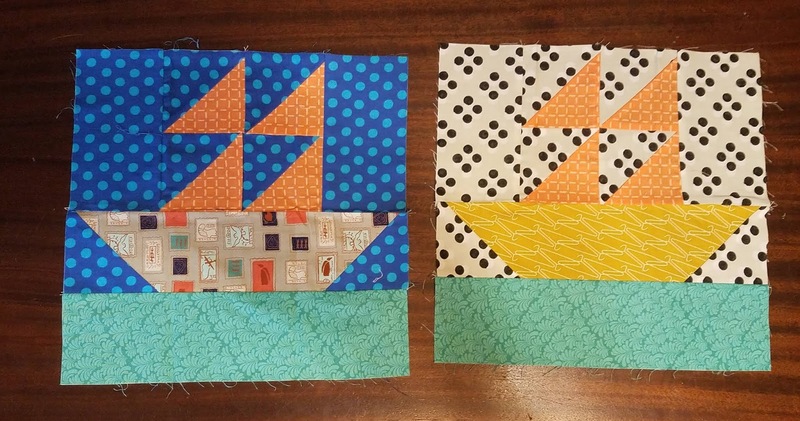 If you want to make a boat or two for this charity quilt, you can find the tutorial here. If you need my address for mailing, just leave a comment and I’ll email you. Please mail blocks by February 15th. If that’s too soon, don’t worry. Ann will be hosting another charity quilt in March and Sharon will host one in July. So fun to see all the boats sailing along on your post! Will we get to see the quilt top when it’s sewn together? Absolutely! I’ll post here as soon as it’s done. I’m hoping for a spring finish but will be satisfied with first half of the year. That’s a great haul of blocks Emily! I’m looking forward to seeing the quilt together. It is a great haul of blocks! I think they will all look fabulous together! Each charity quilt hostess will pick her own block and color scheme. If it’s a busy time of year, sit this one out and hopefully March or July will work better for you. It was so fun to look at all the different pretty boats! I’m glad you enjoyed them, Abbie!